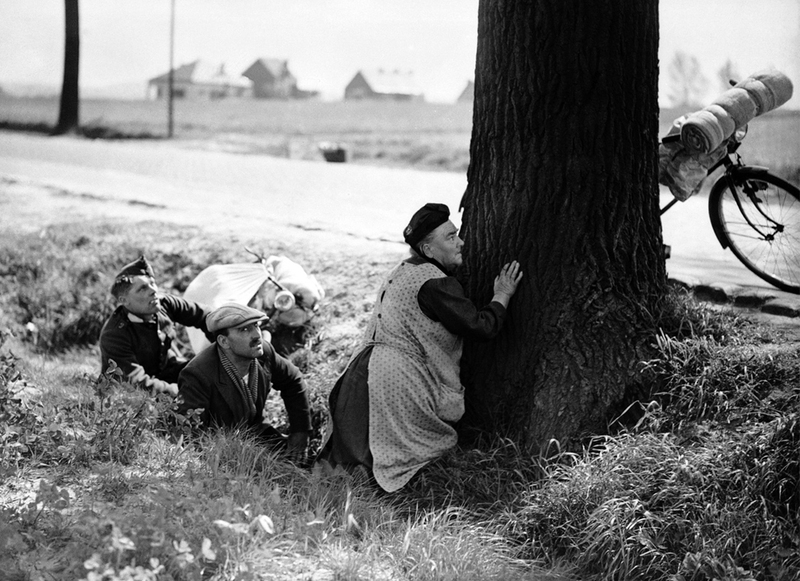 When the Germans invaded France many people left their homes and farms to escape the Panzers and planes who strafed them with canons and machine guns as they fled through the countryside. 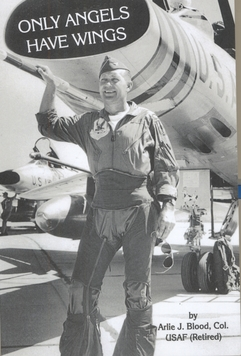 They would have to dive into roadside ditches as the planes shot at them. 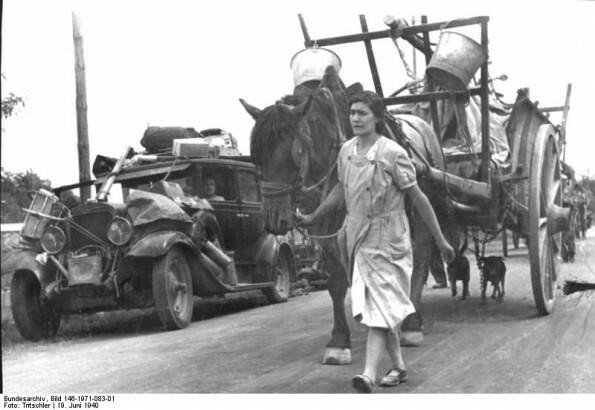 This Author's wife, Sophie and her family, were among the hordes who left and with very few personal posessions struggled to get away from the front lines. As she and her family fled they slept in barns of abandoned farms and foraged for food as best they could. After the invasion the family were allowed to return to their homes and be subject to controls and regulations of the Nazi authorities. It was at this time that Sophie and her parents were shocked to learn that her school had been taken over by the SS for their local headquarters. 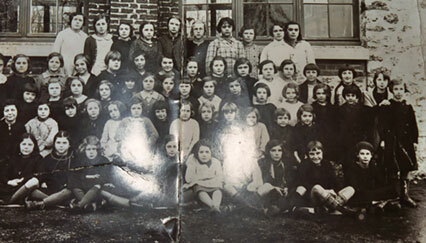 Here is an official school photo just before the German invasion and occupation of the building. Sophie is standing 2nd row 2nd from right. (See enlarged insert ) When I met Sophie in England 9 years after the war, how was I to know I would pick the most beautiful girl from the whole school! Soon after this was taken she had to move to the boys school much to her chagrin. 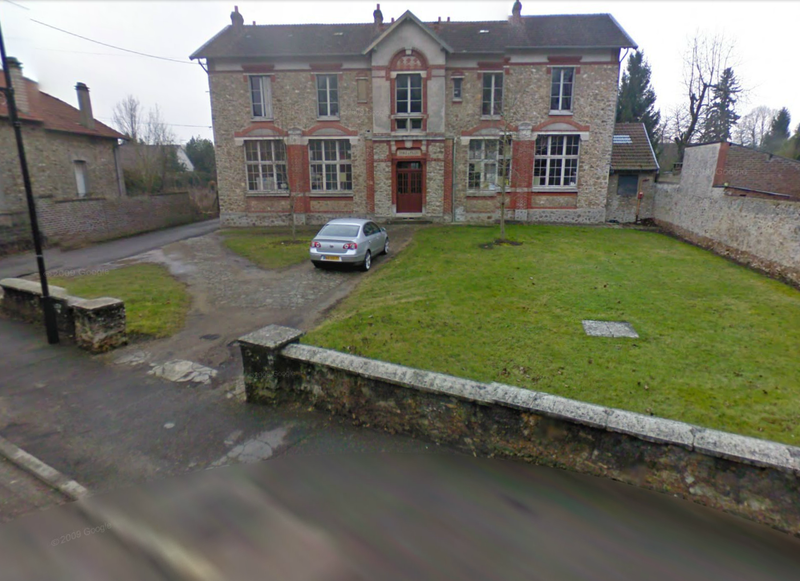 Today the building is still standing in the village not far from the town of Coulommiers. The area is famous for the production of Brie cheese and DisneyLand Paris is also nearby. The film - "The Longest Day"
Irina Demich and this author's wife Sophie, grew up in the same village in the Seine et Marne region of France just East of Paris. Irina went on to become a Dior model and a film actress. The film she became known for was "The Longest Day" in which she played the part of a member of the French Resistance alongside an all star cast of John Wayne, Robert Mitchum, Richard Burton, Henry Fonda, Sean Connery and many others. Irina appeared in many other films with Anthony Quinn, Ingrid Bergman, Catherine Deneuve, Cliff Robertson, Jean Gabin and numerous European films. 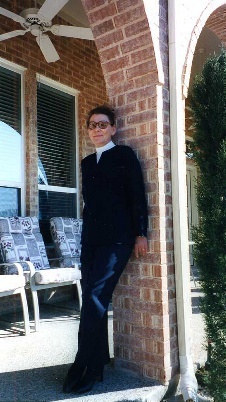 In this photo at left, Irina is seen at our house in Texas in February 2003. Sadly, she passed away from cancer in October the following year. We miss her! 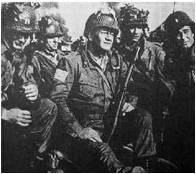 If it were not for many thousands of ordinary French men and women, who through their day to day observations of German activity on the Normandy coast, the Allied invasion would not have been as successful. The enormous amount of intellgence gathered and passed on to Britain helped to reduce the number of lives lost on those Normandy beaches in 1944. Many of today's surviving Normandy Invasion veterans can partially thank the ordinary French citizens who collectively spied on the German fortifications & preparations. Many gave their lives when caught by the Gestapo. Here is a story of just one man out of thousands that were caught, enslaved in German factories, or were tortured, or executed, or both. A friend of this author told me about his grandfather Louis Aime Dufour. He was the Town Clerk in the city of Soissons and was a member of the French Resistance Network. He was arrested by the Gestapo and was never seen again. 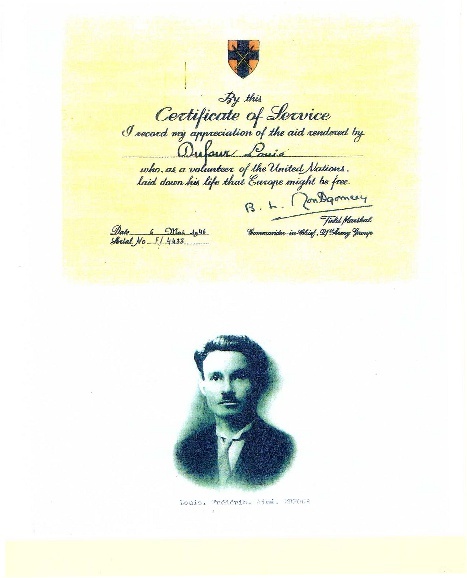 Below is a Certificate of Service signed by Field Marshall Montgomery. Arlie Blood one of the veterans mentioned on our veterans page joined the French Resistance after he was shot down in France. Click here to read more about his exploits.